Choosing any type of specialized apparel can be tough. Not only do you need to worry about the performance and durability, but comfort plays just as big a role in your decision. This is important to keep in mind. Often times people will choose a "better performing" piece of apparel with the plan of biting the bullet on comfort, but at the end of the day, it just isn't worth it. Waders are no different. Chances are you will be wearing yours for long periods at a time, likely with repeated use. Therefore, it is essential to consider both performance/durability as well as comfort. Now here's where that can be a problem. Most waders are designed for relatively specific conditions. For example, one pair of waders that are great in the Spring and Fall may drive you nuts in the Summer, and vice versa. Throw in your budget as another factor and it can be difficult to feel confident about your selection. In this article, we intend to provide information about the essential components of waders for fishing, as well as our reviews and opinions on some of the best fly fishing waders. We recognize that everyone's personal preferences are different, especially when it comes to the budget, so we will attempt to highlight some of the best waders at different price points, hopefully allowing you to get the best bang for your buck. 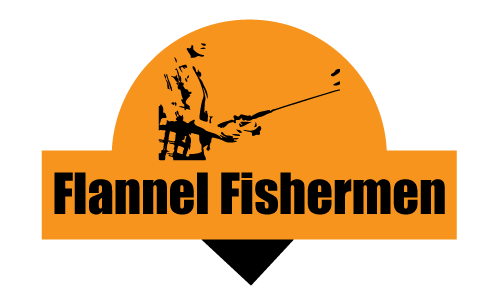 if you need other fisher gears click here to check. These are your basic pair of waders. Nothing fancy, but they get the job done. The boots are made of PVC, which is usually more durable than rubber depending on construction, and the shell is a tough nylon fabric. The are marketed as being "lightweight", and compared to older versions they certainly are. However, most modern waders that you would buy new are around the same weight, maybe even lighter if you get a quality pair. Most customers don't have a problem with the sizing, but some say they run a little tall. For example, some customers have found the boots to fit perfectly, but the wader itself might be a bit big. So if you're an average or below-average height, you may want to account for that just a little bit.The suspenders are easily adjustable, so that can also help you out. There is an internal pocket with the wader, but many customers wish it came with more easily accessible pockets. Again, these best fly fishing waders aren't meant to be anything special, just get you in the water and catching fish. Overall, these are actually great value fishing waders. They are surprisingly good for the price, and are quite comfortable for the price as well. Usually when you get something at the lower end of the price spectrum you don't really expect much, but the Hodgman Mackenzie cleated wader certainly surpasses expectations. We would recommend these to any angler looking for their first pair of waders, expert anglers who want a spare, or anyone who is trying to stick within a lower budget. Similar to the Hodgman Mackenzie waders, the Frogg Toggs are a pleasant surprise for the price point. A little more expensive than the Hodgman's, these have slight upgrades in that they utilize 3.5mm neoprene, which allows for solid insulation while still maintaining a light weight. The high back design combined with the 200 gram "Thinsulate" material allows for deep water wading, and the fleece-lined chest pocket is also a nice touch. 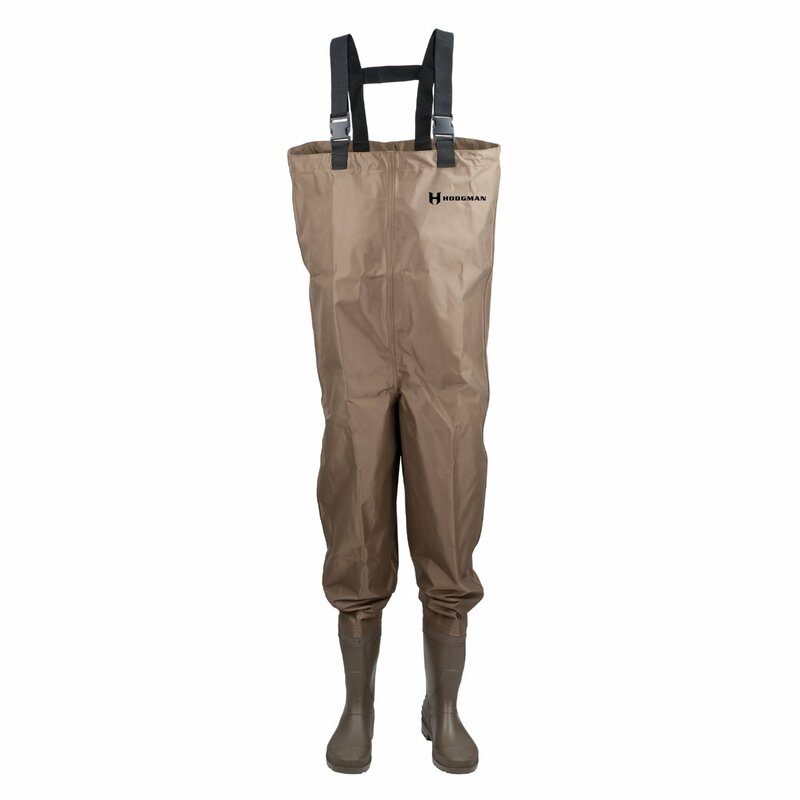 The main complaint about these waders is they run quite tall, something that has been brought up by many customers. However, these are still great waders for the price point, so if you account for them running a bit large, or you're tall to begin with, then they're definitely worth the consideration. Given these waders run a little taller than most and can be a little troublesome to size, women may have further issues if they need to also convert from women's sizing. For a very similar pair of Frogg Toggs waders that are designed and sized for women, please click here. Overall, these are a step up from a very basic pair of waders. They take care of material first before adding any fancy features, which is always preferred, so for the small increase in price, you get a decent jump in quality. We would recommend the Frogg Toggs for tall anglers or those looking to try a new pair of waders without breaking the bank (and are ok with accounting for a bit of a size issue). The Adamsbuilt Truckee Wader is where you really start to see a jump in quality of not just the materials, but the overall design. These are very lightweight waders without compromising quality, as the premium microfiber fabric has been shown to stand up to punishing currents. 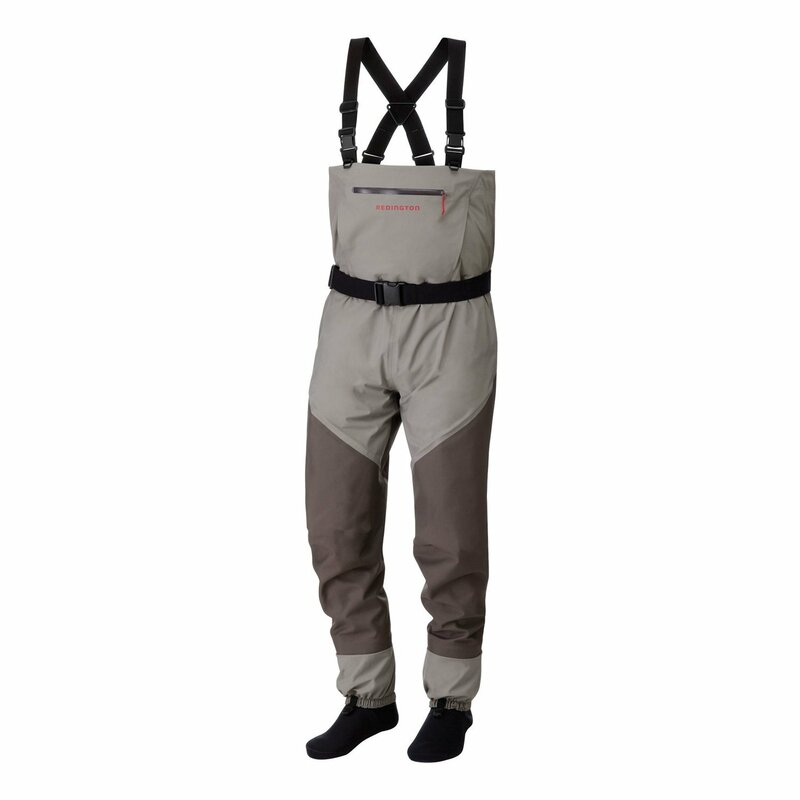 Aside from the high performance and durability, these waders are also known to be very comfortable. Part of that is the light weight, but it's also the design. 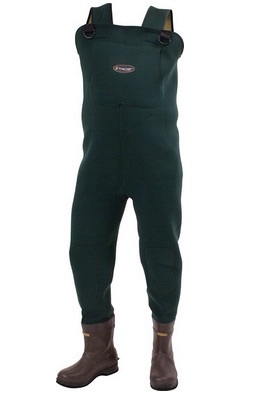 These waders have 4-layer reinforced knees and seat, lined hand warmer pockets, attached gravel guards, and easily adjustable belt and suspenders. Like most waders, these run slightly tall, but not as much as the Frogg Toggs that we reviewed. The company is also known to provide quick and helpful assistance when it comes to sizing. 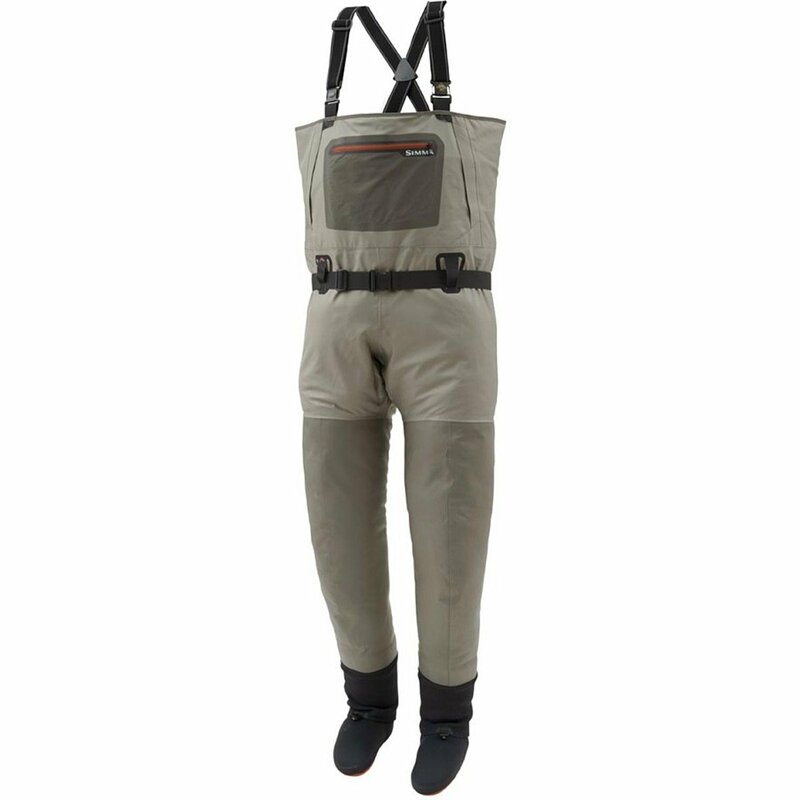 Overall, we would recommend these waders to anyone who has the room in the budget. They are a big jump up in quality, but it comes with a modest increase in price. Fundamentally, they don't do anything different from basic waders, but they add lots of convenient features and are definitely more comfortable and durable. Simply put, the Redington Sonic Pro Waders are a great pair of waders for fishing. However, you do get what you pay for, and these come in at the second-most expensive pair of waders that we reviewed in this article. Redington has basically taken care of everything you may need. They utilize 100% nylon, 4-layer, waterproof, and breathable fabric that is assembled using high-tech ultra sonic welded construction (no sew) and double taped seams. This prolongs the life of your waders especially when it comes to leaks. The articulated seams also help you have better range of motion, so you don't feel like your fighting your own waders as well as the current. They really went all-out with the pockets. Redington has incorporated a custom flip-out tool pocket with mesh pocket and includes a forcep dock, hypalon retractor dock, and an additional zippered pocket that they designed with tippet in mind. Of course, they also include an ergonomic hand warmer pocket. Lastly, some more convenient features include the 2-inch stretch wading belt, gravel guards with lace hook, and a custom moulded hemostat clamp d-ring, and opposing buckles for easy conversion to waist-high. Overall, these are excellent waders that perform well, are very durable, and are more comfortable than most waders out there. The main drawback is you pay the price for them. Therefore, we would recommend the Redington Sonic Pro waders to those who know they will use them a lot, anyone who values convenient storage of their tools, or simply anyone who has room in the budget. If you're looking for the absolute best waders for fishing, especially in terms of lightweight breathability, the Simms G3 Guide stockingfoot waders are tough to beat. In the content below we outline some of the differences in materials that you can find in waders, and all the highest-end material that allows maximum breathability are included in these waders. The Gore-Tex is extremely efficient at waterproofing and windproofing, but it is also extremely lightweight and offers more breathability than other materials, helping to maximize your comfort while casting. Simms is a great brand in general for waders, and you simply can't beat the quality in these waders. Not only is the material second-to-none, combining Gore-Tex with neoprene, but they also make sure to include all the extras that you may desire. The pockets are arranged perfectly and allow you to keep your hands warm and tools handy. The seams are taped and the waders are constructed to provide a more anatomical fit, and they are available in many different sizes. The downside? They are way more expensive than the majority of waders on the market. That being said, they perform the best, they are extremely durable, and it's true in that you really do get what you pay for. Therefore, we would recommend these Simms waders to anyone who is after quality, especially in regards to breathability and overall comfort, and don't need to stick to a strict budget. Similar to any other sports apparel or equipment, style and fit are not the only factors to consider when selecting the proper waders. In this case, material and construction play a huge role considering the purpose of waders to begin with. Not only will you be in the water, but you may also be in a current that adds additional force behind that water. Being dry comfortable can make a difference between a good and bad day of casting. The wader material that you require may be slightly different depending on conditions, or more specifically, temperature. For those who plan on fishing in cold climates and water conditions, insulation is important. In this case, it's easier to get away with something that isn't as breathable. On the other hand, for moderate to high temperature conditions, such as most Spring and Summer fishing, you will likely want to opt for a wader made of a more breathable material so that you can stay cool and dry (dry from your own perspiration). So what are the different materials that you can find in a wader? The most common wader materials include rubber, PVC (polyvinyl chloride), and nylon, and neoprene. These are the materials you will likely find in more basic and affordable waders. They get the job done, but depending on your conditions, comfort may be lacking. 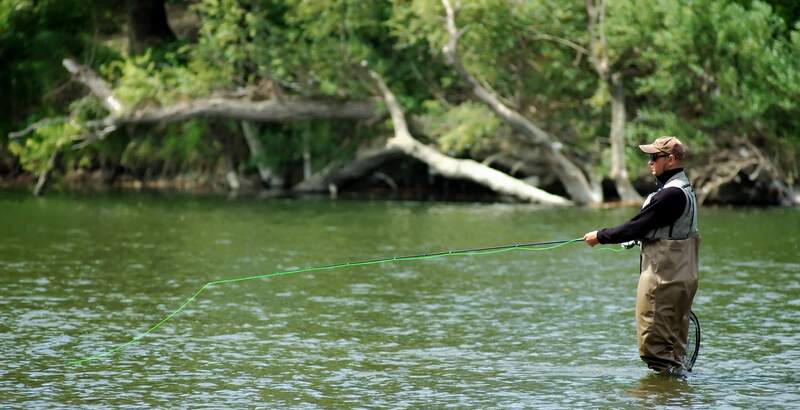 Rubber is essentially the lowest-end material you can find in waders. It definitely works, but tends to be a little heavier than PVC, is definitely not breathable, and isn't the most durable, but it keeps the water out (and in if you're sweating!). PVC is extremely common in many different products, especially specialized apparel, around the entire world. It's usually stronger, lighter, and more durable than rubber, making it a nice step up in a pair of waders. While it typically costs a little more to produce, the difference isn't that noticeable, so the increase in cost at the customer's end is fairly small. Therefore, we recommend PVC over rubber whenever possible. In many situations, nylon can be an even bigger step up from rubber. Nylon has been used in the fly fishing world for a long time with great results, and it is relatively versatile in how it can be manufactured into a pair of waders, allowing improvements to be made with time. While anglers find it to be a little more breathable than rubber or PVC, it still isn't designed to be the most breathable. Lots of anglers like the lightweight feel of nylon and the associated waterproofing, and they aren't quite as stiff as a rubber wader. However, one of the main drawbacks is that nylon can be more prone to puncture tears, especially along the seams where there are concentrations of stress from movement. A good pair of nylon waders will have "no-sew" seams for added strength. Neoprene is extremely common in waders. This is the same material that goes into most scuba diving suits, as well as surfing wetsuits. The neoprene itself is usually a few mm thick (3.5mm is common in waders) and is covered with a knitted nylon. Neoprene is great in cold conditions, as it's extremely lightweight and does a superb job insulating body heat, but if body heat insulation is something you don't want, then neoprene may not be best. Also keep in mind that neoprene is a more stretchy material and is usually designed to fit more snug than other materials. Some anglers prefer this, but others don't, especially if they are used to larger loose-fitting waders. Gore-Tex, or other specialized materials for breathability, offer vastly improved ventilation. If you live in a rainy climate, for example the Pacific Northwest, you will see a lot of Gore-Tex rain jackets. It's a very lightweight and thin material that is extremely waterproof windproof. These types of breathable materials are awesome in terms of performance and are actually quite a durable due to the strength of the material. However, these materials are also quite costly since more goes into the manufacturing. They also aren't the best for colder conditions unless you have some sort of insulating material that you have planned ahead to wear under. Overall, one material isn't always better than another material, which can make selecting the proper wader difficult. However, much of this can be narrowed down simply by examining the weather and water conditions in the areas you plan to fish. If you're fishing in cold conditions, then a cheaper material with better insulation properties could likely due the trick. On the other hand, if you're going to be doing a lot of work in your waders, or you're in the hot summer sun, then you may find these high-insulation materials uncomfortable after a little while and may prefer a more breathable material like Gore-Tex. If you plan on fishing as early and late into the season as you can, or if you don't know the exact conditions you will be fishing in because you try many different locations, then it may be best to have two pairs of waders, one specific for insulation in cold conditions and the other specific to breathability in hot conditions. Boot-foot waders are your classic waders that have the boot already attached tot he bottom of the wader. This offers some convenience in that everything is all ready to go in one piece, but at the same time it's a little more difficult to get a really good individual fit. They also aren't the best for walking long distances, but otherwise they work really well in water, which is their primary purpose. Stockingfoot waders are a little bit different and are usually found on the higher end waders, but are fairly popular overall. Instead of a boot, these stockingfoot waders will have a neoprene boot (more like a sock) attached directly to the wader. Then, you will be required to see a pair of wading boots over top of the neoprene socks. These tend to be a lot more comfortable, but there is a little bit more work involved into getting geared up or taking your waders off. Many people don't realize this at first, but a belt is not only crucial to help achieve a nice secure fit, but it's also an extremely important safety item. If the current picks up or you have trouble traversing some rocks and you fall in the water, the belt will help stop water from entering the waders. While it likely won't seal out absolutely all of the water, it's way better than having your waders instantly fill up with cold water. Not only is this a concern for thermoregulation, but water inside the waders will add lots of weight, throw off the fit, and if you're struggling to stay above water this can be a threat. Therefore, if you're looking for a new pair of best fly fishing waders, try and find a pair that comes with a wading belt. Lots of the cheaper pairs won't, but you can easily buy the belt separately, or use one from a previous pair. In any case, make sure you achieve a tight secure fit. Try and move the belt around to test it before heading out into the water. For such a simple item that can also help add some comfort, it's definitely worth it!